Are the Cottages for you? 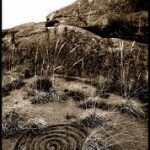 Red Mountain Cottages are central to many fascinating natural and historic activities and attractions. Here are just a few to whet your interest in local color, geology, history, and nature. 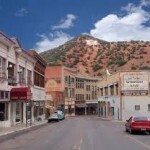 Old Bisbee on Facebook: Grab your camera to capture the architecture and charm of this old mining town. Enjoy the mining museum, mine tours, galleries, shops, cafes, restaurants, and local night life, 13 miles. San Pedro House nature center and birding activities operated by Friends of the San Pedro River, 30 miles. 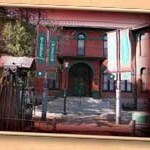 Bisbee Mining and Historical Museum – a Smithsonian affiliate museum with accessible and impressive displays of rocks and minerals mined here, 13 miles. 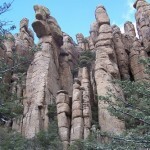 Chiricahua National Monument – Arizona’s “wonderland of rocks.” This 12,000-acre national park features incredible rock formations which were carved by ice and water from layers of rhyolite, which was originally ash blown out during the Turkey Creek Volcano eruption 27 million years ago, 94 miles. Tombstone – Famous Old West town, the location of the OK Corral shootout, 38 miles. Kartchner Caverns State Park – Stunning limestone caves discovered in 1974, 53 miles. 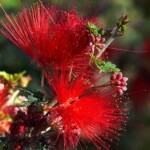 Arizona-Sonora Desert Museum in Tucson – a “must see” first-class outdoor museum of flora and fauna in the Sonoran desert. Start out early and plan to spend all day, 121 miles. The Dragoon Mountains, with the Triangle T Guest Ranch (where many western movies were shot) and the Amerind Foundation’s large display of native American culture, 81 miles. 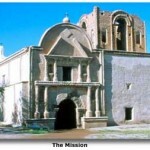 Historic Tubac, AZ – Founded in 1752, this town is the oldest European settlement in Arizona. It is now home to artists, galleries, shops and restaurants, 113 miles. Rock, mineral, and fossil hunting bring many people to this part of Arizona every year. 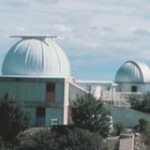 Many sites are accessible. San Bernardino Ranch John Slaughter Ranch Museum, 50 miles. 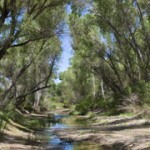 Rustler Park – a beautiful drive over the mountains and through the meadows on the southern end of the Chiricahua mountains. Chihuahua, Mexico’s largest state, is located just to the south of us. 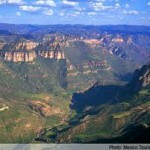 Home of the famous Copper Canyon as well as archeological sites such as Casas Grandes. Chihuahua offers an unlimited wealth of possibility to further your travels. Day trips to Naco or Agua Prieta are easy, although you must obtain insurance if you drive your car into Mexico, and you must have your passport with you for re-entry into the US. For travel into the interior of Mexico, a local guide is recommended.